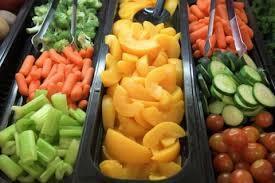 DLSISD offers a wide variety of nutritious breakfasts and lunches to every student each school day on all campuses. The district participates in the School Breakfast Program and the National School Lunch Program through the U.S. Department of Agriculture. Each campus has its own kitchen and serving area where everyone works together “making every day a better day” for our students, staff and families. It is the goal of the Food Services Department to provide healthy and nutritious food, while allowing students to choose from foods they enjoy eating. To comply with USDA Dietary Guidelines and the Texas Public School Nutrition Policy﻿, meals are required to be reduced in salt, sugar and fat and be high in dietary fiber. The district's on-line payment system, Lunch Money Now, ﻿allows you to electronically place money in your child's account over the internet. This application will also inform you when your child's account needs attention.